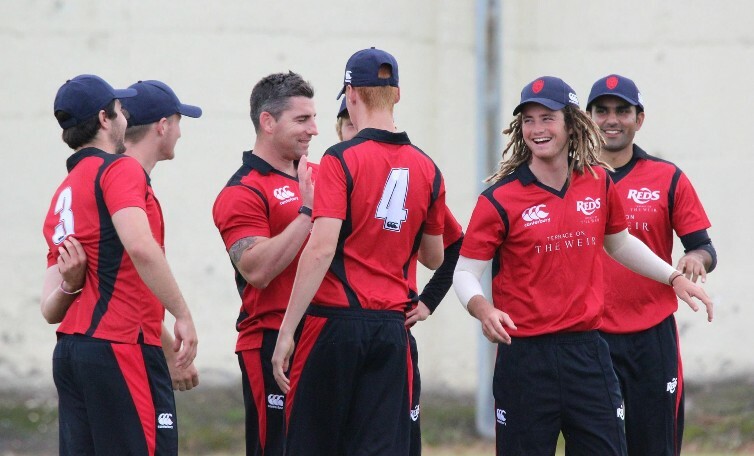 Reds players celebrate during their victory over a Northern Knights Development XI in 2016. A prospective Munster Reds squad continued their T20 preparations for the new season with a mix of Munster based players & National Academy players taking part at the fabulous Urban Cricket facility in Dublin. It proved to be an excellent T20 session as playes were put through their paces in challenging match situations. It was equally pleasing was seeing the Munster based and Irish Academy players working so well together as we await the decision from Cricket Ireland.